Hyde Park, NY – Highly regarded restaurant industry executive Jon Luther was elected the 18th chairman of the board of The Culinary Institute of America during board meetings at the college’s New York campus on October 7. He succeeds chef and hospitality entrepreneur Charlie Palmer, a 1979 CIA graduate, in this important and distinguished position. Mr. Luther was CEO of Dunkin' Brands—the parent company of Dunkin' Donuts and Baskin-Robbins—from 2003 until 2009, and its chairman from 2006 to 2013. Under his leadership, Dunkin' Donuts went from a regionally known chain to a worldwide powerhouse. He also re-energized its marketing initiatives by launching the award-winning “America Runs on Dunkin'” campaign and transformed the menu beyond donuts, bringing in award-winning chefs, including several CIA graduates. 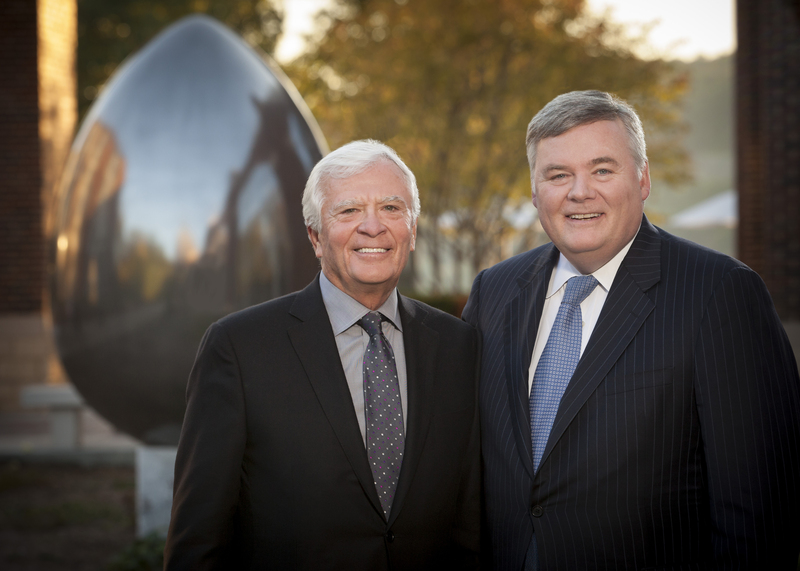 In the past few years, Mr. Luther has served as chairman of Arby’s Restaurant Group Inc., lead director of the board of Six Flags Theme Parks, and board member at Brinker International. Earlier in his career, he was president of Popeye’s Chicken & Biscuits and held leadership positions in contract foodservice with Marriott, Delaware North, and Aramark. Among his many career accolades, Mr. Luther has earned the Golden Chain Award from Nation’s Restaurant News, the Chain Leadership Award from Chain Leader magazine, and Gold Plate Award from the International Foodservice Manufacturers Association. He was inducted into the MenuMasters Hall of Fame in 2010 and received a Lifetime Achievement Award from the Leadership Roundtable in 2012. Other board officers for 2015–16 are Vice Chairman Richard Mazer, retired CEO and president of Ventura Foods; Treasurer Robert A. Muh, CEO of Sutter Securities; and Secretary Roy Yamaguchi ’76, founder of the Hawaii-based Roy’s restaurants, with 22 locations in eight states. Joining the board for the first time are Philip Jones, president of Jones Dairy Farm, and Steve Romaniello, managing director of Roark Capital Group. The CIA Board of Trustees consists of 25 highly respected leaders in the foodservice industry and business world. They provide expert governance and guidance for the not-for-profit college, and are not compensated for their services. Founded in 1946, The Culinary Institute of America is the world’s premier culinary college. Dedicated to driving leadership development for the foodservice and hospitality industry, the independent, not-for-profit CIA offers associate degrees in culinary arts and baking and pastry arts; bachelor’s degree majors in management, culinary science, and applied food studies; and executive education through its Food Business School. Its conferences and consulting services have made the CIA the think tank of the food industry in the areas of health & wellness, sustainability, world cuisines & cultures, and professional excellence & innovation. The college also offers certificate programs and courses for professionals and enthusiasts. Its worldwide network of 48,000 alumni includes leaders in every area of foodservice and hospitality. The CIA has campuses in New York, California, Texas, and Singapore.